Will Europe’s ‘Right to Be Forgotten’ Become an Unprecedented Global Censorship Regime? Yesterday, the Article 29 Data Protection Working Party issued a press release providing more detailed guidance on how it would like to see Europe’s so-called “right to be forgotten” implemented and extended. The most important takeaway from the document was that, as Reuters reported, “European privacy regulators want Internet search engines such as Google and Microsoft’s Bing to scrub results globally.” Moreover, as The Register reported, the press release made it clear that “Europe’s data protection watchdogs say there’s no need for Google to notify webmasters when it de-lists a page under the so-called “right to be forgotten” ruling.” (Here’s excellent additional coverage from Bloomberg: “Google.com Said to Face EU Right-to-Be-Forgotten Rules“). These actions make it clear that European privacy regulators hope to expand the horizons of the right to be forgotten in a very significant way. Verizon v. FCC, the court decision overturning the Federal Communications Commission’s (FCC) net neutrality rules, didn’t rule directly on the First Amendment issues. It did, however, reject the reasoning of net neutrality advocates who claim Internet service providers (ISPs) are not entitled to freedom of speech. The court recognized that, in terms of the functionality that it offers consumers and the economic relationships among industry participants, the Internet is as similar to analog cable networks as it is to analog telephone networks. As a result, the court considered most of the issues in the net neutrality case to be “indistinguishable” from those addressed in Midwest Video II, a seminal case addressing the FCC’s authority over cable systems. The court’s emphasis on the substantive similarities between analog cable services, which are clearly entitled to First Amendment protection, indicates that ISPs are likewise entitled to protection. Net neutrality advocates argued that ISPs are not First Amendment “speakers” because ISPs do not exercise editorial discretion over Internet content. In essence, these advocates argued that ISPs forfeited their First Amendment rights as a result of their “actual conduct” in the marketplace. Anupam Chander, Director of the California International Law Center and Martin Luther King, Jr. Hall Research Scholar at the UC Davis School of Law, discusses his recent paper with co-author Uyen P. Lee titled The Free Speech Foundations of Cyberlaw. Chander addresses how the first amendment promotes innovation on the Internet; how limitations to free speech vary between the US and Europe; the role of online intermediaries in promoting and protecting the first amendment; the Communications Decency Act; technology, piracy, and copyright protection; and the tension between privacy and free speech. Bitcoin is going mainstream. Here is why cypherpunks shouldn’t worry. Today is a bit of a banner day for Bitcoin. It was five years ago today that Bitcoin was first described in a paper by Satoshi Nakamoto. And today the New York Times has finally run a profile of the cryptocurrency in its “paper of record” pages. 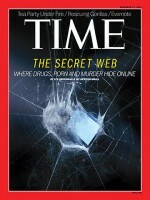 In addition, TIME’s cover story this week is about the “deep web” and how Tor and Bitcoin facilitate it. This is an internecine battle that I’ve observed in the Bitcoin community for years. That of the cypherpunks who see Bitcoin as an escape hatch from state control versus the entrepreneurs who are more interested in the network’s disruptive (and thus profitable) potential. While it might be a fool’s errand, I’d like to make the case that not only is the work of the two groups not in conflict, they actually benefit from each other. I’ve been following Bitcoin since early 2011, and in April of that year I penned the first (yes) mainstream article about Bitcoin. It was in TIME.com, and it’s been credited with kicking off the first bubble. Since then my work has focused on the regulatory policy around Bitcoin and other crypto currencies, especially looking to educate policymakers about the workings and potential benefits of decentralized payments systems. Why am I so interested in this? My reasons are twofold and they track both the entrepreneurial and cypherpunk ideals, and yet I don’t think I’m bipolar. Christopher Wolf, director of the law firm Hogan Lovells’ Privacy and Information Management group, addresses his new book with co-author Abraham Foxman, Viral Hate: Containing Its Spread on the Internet. To what extent do hateful or mean-spirited Internet users hide behind anonymity? How do we balance the protection of the First Amendment online while addressing the spread of hate speech? Wolf discusses how to define hate speech on the Internet; whether online hate speech leads to real-world violence; how news sites like the Huffington Post and New York Times have dealt with anonymity; lessons we should impart on the next generation of Internet users to discourage hate speech; and cases where anonymity has proved particularly beneficial or valuable. Timothy B. Lee, founder of The Washington Post’s blog The Switch discusses his approach to reporting at the intersection of technology and policy. He covers how to make tech concepts more accessible; the difference between blogs and the news; the importance of investigative journalism in the tech space; whether paywalls are here to stay; Jeff Bezos’ recent purchase of The Washington Post; and the future of print news. Jane Yakowitz Bambauer, associate professor of law at the University of Arizona, discusses her forthcoming paper in the Stanford Law Review titled Is Data Speech? How do we define “data” and can it be protected in the same way as free speech? She examines current privacy laws and regulations as they pertain to data creation and collection, including whether collecting data should be protected under the First Amendment. In June, The Guardian ran a groundbreaking story that divulged a top secret court order forcing Verizon to hand over to the National Security Agency (NSA) all of its subscribers’ telephony metadata—including the phone numbers of both parties to any call involving a person in the United States and the time and duration of each call—on a daily basis. Although media outlets have published several articles in recent years disclosing various aspects the NSA’s domestic surveillance, the leaked court order obtained by The Guardian revealed hard evidence that NSA snooping goes far beyond suspected terrorists and foreign intelligence agents—instead, the agency routinely and indiscriminately targets private information about all Americans who use a major U.S. phone company. It was only a matter of time before the NSA’s surveillance program—which is purportedly authorized by Section 215 of the USA PATRIOT Act (50 U.S.C. § 1861)—faced a challenge in federal court. 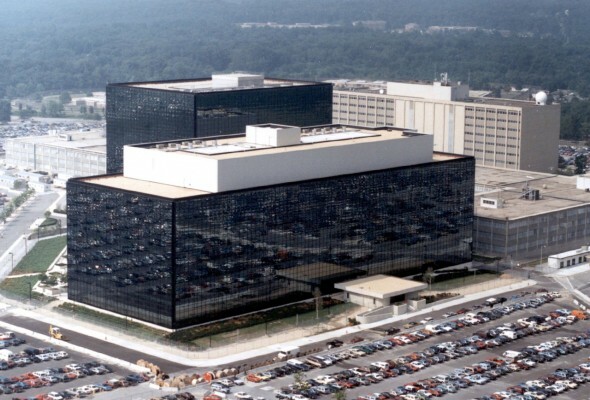 The Electronic Privacy Information Center fired the first salvo on July 8, when the group filed a petition urging the U.S. Supreme Court to issue a writ of mandamus nullifying the court orders authorizing the NSA to coerce customer data from phone companies. But as Tim Lee of The Washington Post pointed out in a recent essay, the nation’s highest Court has never before reviewed a decision of the Foreign Intelligence Surveillance Act (FISA) court, which is responsible for issuing the top secret court order authorizing the NSA’s surveillance program. Today, another crucial lawsuit challenging the NSA’s domestic surveillance program was brought by a diverse coalition of nineteen public interest groups, religious organizations, and other associations. 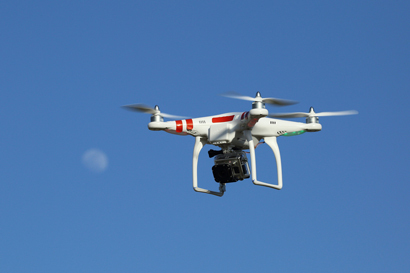 The coalition, represented by the Electronic Frontier Foundation, includes TechFreedom, Human Rights Watch, Greenpeace, the Bill of Rights Defense Committee, among many other groups. The lawsuit, brought in the U.S. district court in northern California, argues that the NSA’s program—aptly described as the “Assocational Tracking Program” in the complaint—violates the First, Fourth, and Fifth Amendments to the Constitution, along with the Foreign Intelligence Surveillance Act.